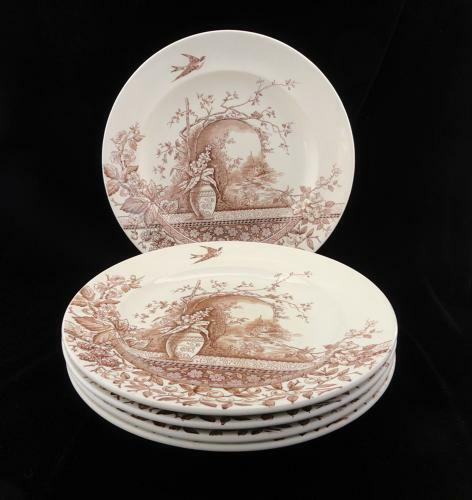 These Victorian aesthetic 9 3/4 inch in diameter plates are transfer printed in dark brown. The pattern features a bird in flight over an urn filled with flowers. Exotic fruit and berries along with a multitude of flowers frame the aesthetic cartouche of a distant country landscape. Wonderful geometric designs complete the plate.